Today being Cyber Monday 2013 is the day that the GSPCA join the online shopping world selling GSPCA goods to help raise funds for animals in Guernsey. The GSPCA have already rescued, rehomed, rehabilitated and released over 2000 animals during 2013 and by purchasing goods from our online shop you’ll be helping those animals in our care. 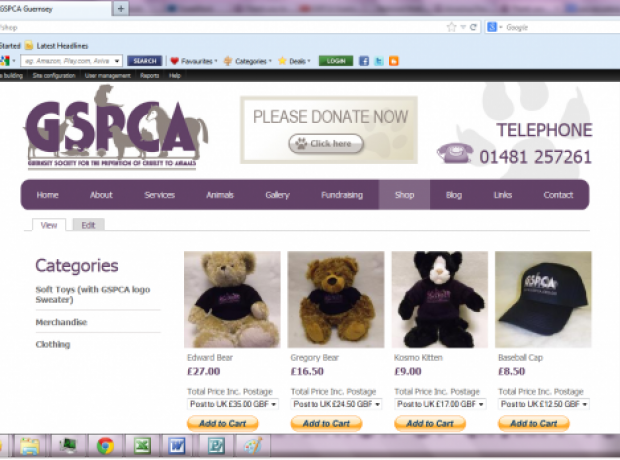 The Online Shop has a number of GSPCA branded goods from tops to teddy bears, pens to pin badges, wrist bands to baseball caps and much more.